Head Intelligence i.165 Racquetball Racquet 3 5/8 - Pre-Owned, Good Condition! 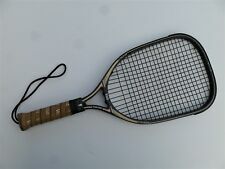 Head Intelligence i.165 Racquetball Racquet 3 5/8 - Pre-Owned, Good Condition!. Condition is Used. Shipped with USPS Priority Mail. Our flat rate is $15 for the first racquet, and $5 for each additional racquet or bag to Canadian destinations, and $17 per racquet and $7 per additonal racquet or bag to American destinations. "A Solid 8 Plus Out of 10 !". "Super Oversize" Composition of High Modulus Graphite/ Spiral Tech Carbon. 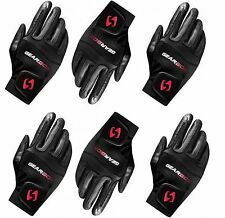 Grip Size is a 4 1/2 (L4). Strung Weight is 9.7 ounces (275g.). Beam Width is 29mm. (Straight Beam). A lot of power at a light weight. O3 Technology RacquetGalaxy is the largest online U.S. dealer for Indoor Racquet Sports (Racquetball/Squash). Nobody beats our service. Why is Authorized important?. 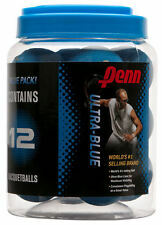 Racquetball are pressureless so breaking the seal on the can does not affect the playability of the racquetballs. Ektelon Premium Select Racquetball Lot. Package will contain 13ea 3-ball cans, however only the ones shown on the second picture with cans that are right side up are sealed and unused, whereas the other 3 cans are either short on the count, have been used lightly, or one can is the Penn brand - however they are all still usable! These cans are hard to find now, and are a great quality ball. please ask questions prior to purchase, as there are no refunds. Thank you! Oversize Power Scoop. Very good condition. Strings are strong and tight. XS Grip shows slight wear, but is still in great condition. Wrist strap. Original Carrying Case. 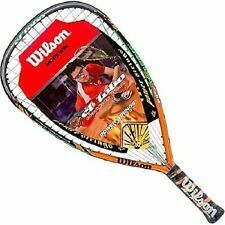 Very good shape racket Comes with original bag We Ship Fast, See our Feedback, and Buy With Confidence! Racquetball glove. Be sure to add Racquetball Depot to your favorites list ! 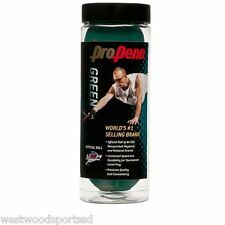 Racquetball Depot is a “Distributor” - we don’t make the product. E-Force Weapon. Glove Properties. Extra large elastic closure for customize fit. Racquetball glove. Be sure to add Racquetball Depot to your favorites list ! Racquetball Depot is a “Distributor” - we don’t make the product. E-Force Weapon. Glove Properties. Full leather ring finger and little finger. New Designed HEAD Radical 180 3 5/8 grip, 2019 Model Great Racquet and Price! STRING PATTERN: 16/18. BALANCE: 315 mm / 0.6 in HL. HEAD SIZE: 680 cm² / 105 in². LENGTH: 660 mm / 26 in. It is black, neon blue, and neon. See details below.SOLD AS IS. End carry handle. Includes a small removable bag. 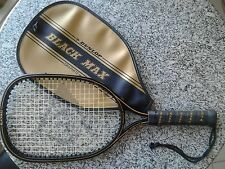 This racket is used but in good condition. The strings are strong. There is little sign of wear and a few dings on the handle tape. The Wilson Ripper racquet gives great power to take out any opponent. HeadSize: 107 in2. Construction: Air-Lite Tactical Alloy. 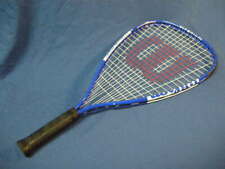 E-Force Bedlam Power Lite 170 Racquetball Racquet Tri Carbon 22” Long 3 5/8 Grip. Condition is Used. In perfect shape. No chips, scratches or dings. String tension is excellent. Protective tape was applied to bumper when new. Shipped with USPS Priority Mail. Pro Kennex Infinity 165 Kinetic Pure 1 Racquetball Racquet. In great condition with a few small scratches and chips. No dents or cracks. Grip feels like 4 3/8”. Needs a new leash. Condition is Used. Shipped with USPS Priority Mail. Racquetball glove. Be sure to add Racquetball Depot to your favorites list ! Racquetball Depot is a “Distributor” - we don’t make the product. E-Force Weapon. Glove Properties. 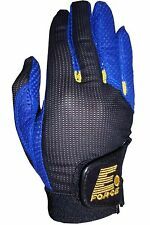 Set-in thumb provides comfortable feel and extra freedom. Ektelon Outrage 925 Power Level Longbody Racquetball Racquet Racket Power Ring. Condition is Used. Very good condition buy and enjoy. Thank you for your bids. 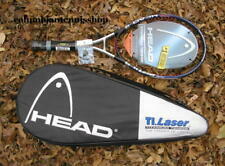 Head TI.195 XL Racquetball Racquet. 3 5/8. New Grip. A+. 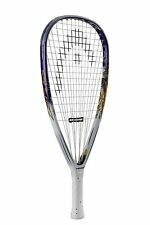 Head TI.195 XL Racquetball Racquet. Stylish and Cool in Black, Charcaol, Graphite Color. 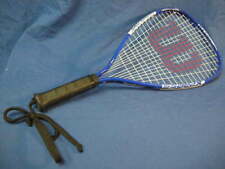 Its a great quality racquet that's durable. Any issues can be fixed by through effective communication. Selling a great pair of Spalding Kill Shot Fury Racquetball Racquet Ball Racket with covers. Both racquets have been used. Handles show slight wear and there is slight residue on handles obviouslydue to age. Still lots of use and the upper parts of the racquet are in very good shape. Feel free to contact me with any questions or for more detailed photos. Please see my history of positive feedback. Also don't hesitate to check out the other items I have up for sale here on eBay. Totally New - E-Force Darkstar 175,Great Racquet and Price!